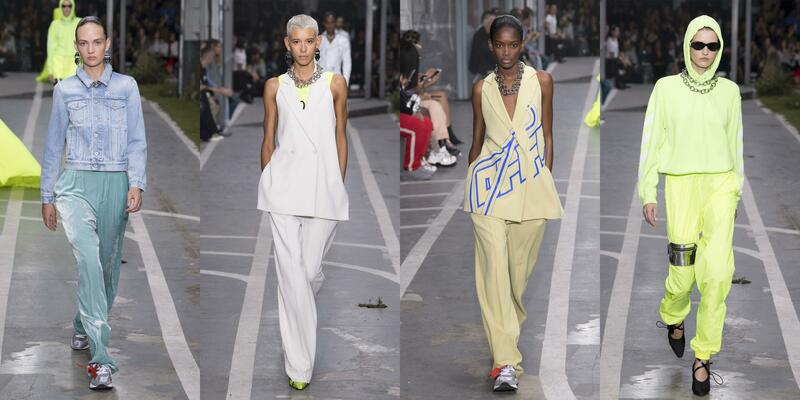 Outfits in not-quite-matching hues, as seen on the Spring 2019 runways of designers who skew active, like Maryam Nassir Zadeh and Off White, bring a fresh sophistication to color play. To take the trend into the gym, grab a top and a bottom in any color family that don’t exactly match. Then, add a chic neutral piece, like a jacket, shoe, or hat to keep your look grounded and intentional. Here’s how. 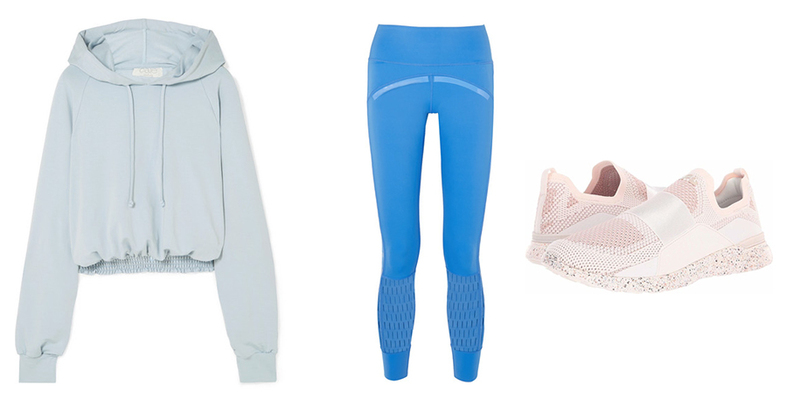 Toss this soft hoodie over a sports bra for heading to and from the gym. A gathered waist provides silhouette definition and a slightly cropped length shows just a hint of your midsection. Offset a pastel top with a bold, vibrant bottom. These are part of Adidas’ eco-friendly collection, made from recycled plastic that’s been woven into a sweat-wicking fabric. Finish off the look with contrasting warm-toned sneakers that feature a touch of metallic rose gold. These slip-ons were designed to stay securely on the foot during active pursuits including running. 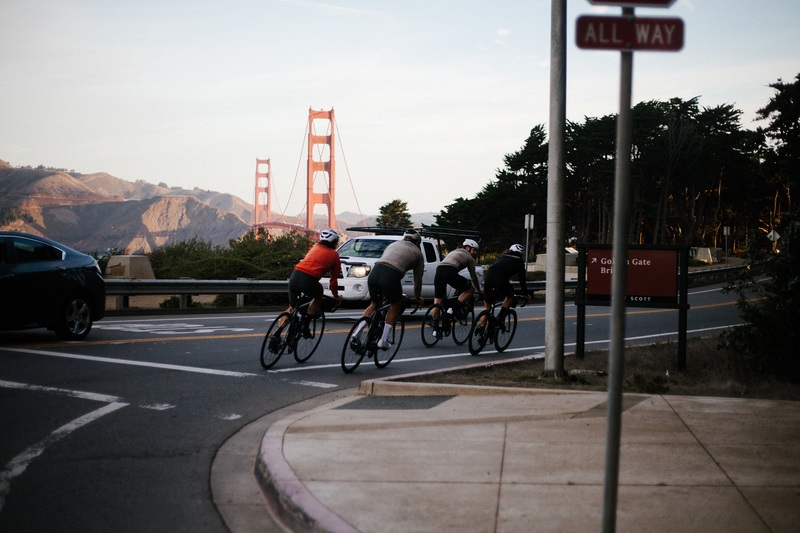 Inspired by running gear from the 50s, Iffley Road’s clothes are streamlined and minimalist. 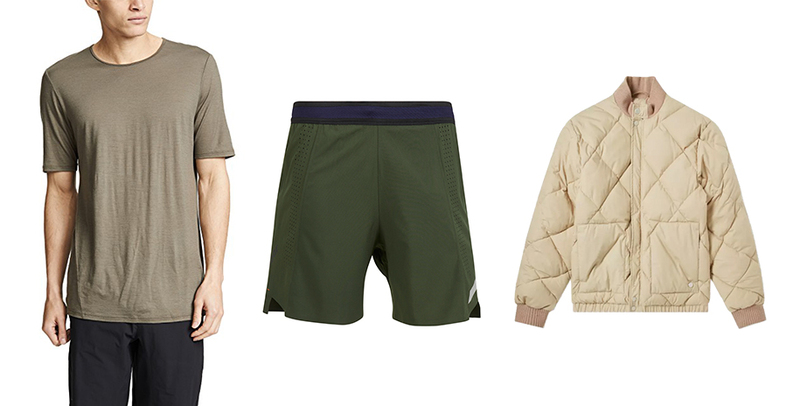 Wear this quick-drying shirt to a class, when logging miles, or with a casual weekend look. These soft sweats with a broken-in feel are ideal for active recovery days. A faded fabric treatment makes them a great match for more pigmented burgundy or red shirts. 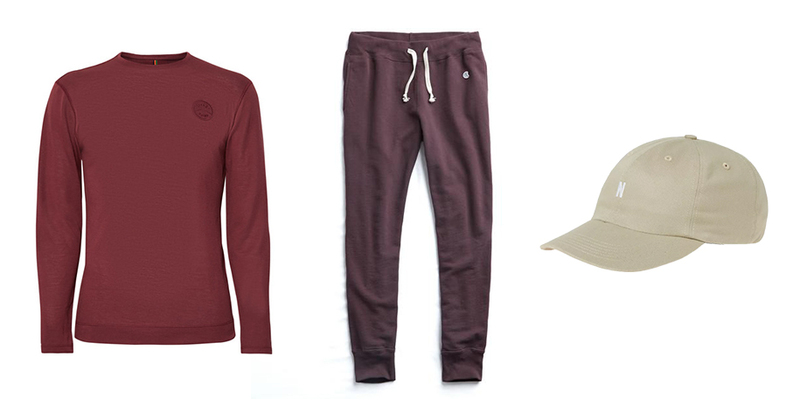 Top off this wine-hued outfit with a khaki cap that keeps your color palette balanced. This modern asymmetrical crop top works well with anything red, pink, brown, or beige. Play off a lighter shade on top with a darker color on bottom. You can highlight the abs-flattering v-front waistband by styling these with the Nike crop top. Shine is one of the top trends in outerwear this season, and this trench captures it without being too much. Wear it over any active outfit. This tissue-thin merino wool shirt can stand up to sweaty workouts but also looks polished with casual basics like jeans and chinos. Pair it with a richer shade on the bottom to get the unmatched effect. These lined running shorts have a looser fit through the leg for full mobility. This down topper’s design was inspired by a 1960s Everest trek, so it’s mountain-approved, but also looks at home on city streets.